The Friends School House, known locally as the Old School House, in Casco burned Sunday morning, destroying many historic artifacts. The schoolhouse was built in 1849. 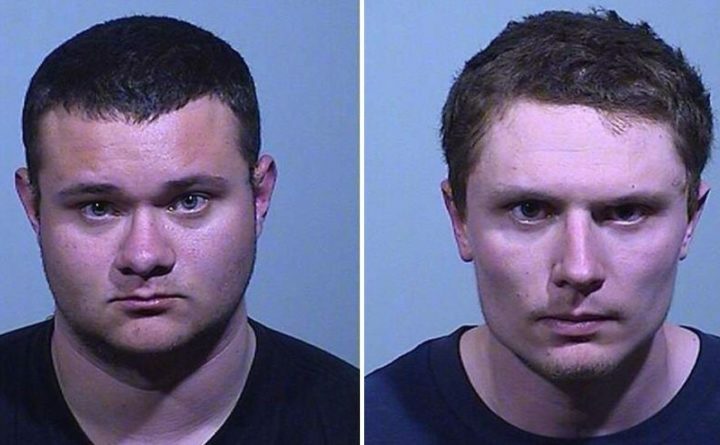 Devin Richardson-Gurney, 22, and Edward Scott, 20, have been charged with arson in connection with the burning of the Friends School House. 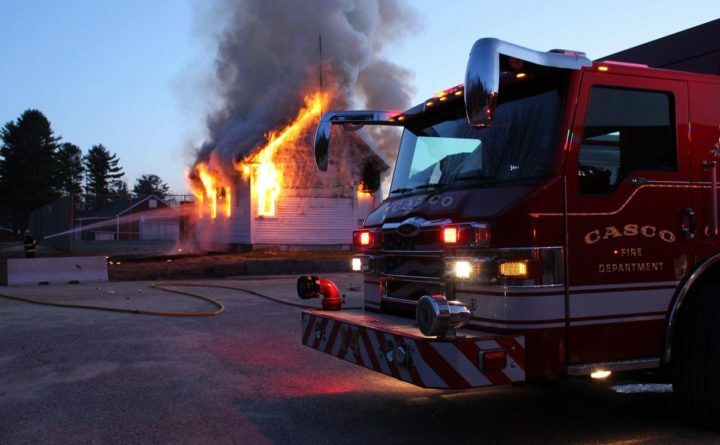 CASCO, Maine — Two men are accused of setting fire to a 150-year-old schoolhouse in Casco on Sunday. Devin Richardson-Gurney, 22, and Edward Scott, 20, were charged with arson, according to the Maine fire marshal’s office. Fire officials said they were to called to Meadow Road around 5 a.m. Sunday for reports of a fire at the Friends School House, known locally as the Old School House. Rose Symonds, who along with her husband, Tim, served as curators of the schoolhouse, told the Portland Press Herald that a number of irreplaceable artifacts burned in the fire, including maps showing the boundaries of the early United States that ended at the Mississippi River, schoolbooks, and an announcement declaring the election of George Washington as the first president of the United States. The schoolhouse was built in 1849. The Casco Public Library is just feet away from the school house, and librarian Michelle Brenner said they are lucky the library also didn’t catch fire. “They can’t replace what was lost, and I am grateful the library wasn’t involved. The same thing would happen here; the collection would go up in flames very quickly,” Brenner said. The Raymond-Casco Historical Society said there was a plan in the works to move the school to South Casco where its museum is located.